Keystar are known as leading industry experts. Our years of experience and technical know-how mean we’re in the best position to provide you with cutting edge refrigeration and air-conditioning advice. We partner with the brands you know and trust, bringing you true global excellence. Our product knowledge is unsurpassed in the field. Take a look at our partner brands. Our fast turn-around times, professional teams and commitment to impeccable customer service are famous in the industry. and refrigeration requirements, with ultimate peace of mind. Eberle by Schneider Electric is a leading European brand focused on the manufacturing of energy efficient residential and commercial heating and air-conditioning controls. Talk to us about Eberle solutions. Schneider Electric is a global specialist in energy management, offering integrated energy solutions across multiple market segments. Making the most of your energy. Proudly brought to you by Keystar. Eliwell offers high level quality and technology products, control systems and services for refrigeration units, both commercial and industrial, and for air conditioning. Excellence in refrigeration systems. 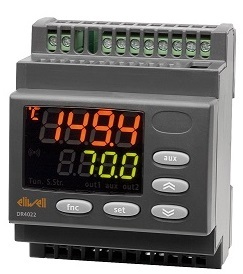 The Ranco mechanical controllers series for temperature, pressure and humidity is suitable for HVACR applications. They are available with adjustable or fixed setpoint, depending on the client’s needs.